Celebrity studies is now a burgeoning subfield within film and media studies, with its own journal (Celebrity Studies [founded in 2010]), international conferences, and a raft of publications that have defined its parameters, notably work by Graeme Turner (2014), Chris Rojek (2001, 2012), P. David Marshall (2014), Su Holmes and Sean Redmond (2006), Su Holmes and Diane Negra (2011). In its basic premise that celebrity, far from being a trivial adjunct to the serious business of film theory, history, philosophy or aesthetics, is central to understanding how contemporary society functions, the field is indebted to the flagship work of Richard Dyer in Stars (1979) and Heavenly Bodies (1986), where he argued that ‘being interested in stars is being interested in how we are human now’. Where these two books nuance and extend the study of celebrity culture is the attention both bring to bear on how celebrity may well be instructive in thinking not just about how we are human, but how we as humans understand and relate to each other within our contemporary social formation. This is a significant shift, as star studies have always understood the function of the star, and by extension the celebrity, to be that of shoring up the notion of the individual. From the development of character within narrative, to the interest in the ‘picture personality’, to contemporary accounts of how celebrity relates to ‘the growth of individualism [and]…the rise of democracy’, film and celebrity culture have given us reams of information about certain individuals, whether fictional or real, and in doing so made us believe in the very concept and tangibility of individual life. Yet, these books imply, we do not live our lives as cloistered individuals, but within various groupings, and surely celebrity culture, if such an important aspect of social life, must also speak to us about how we understand family, friends, children, lovers, partners, or even what Chris Rojek in Presumed Intimacy: Para-Social Relationships in Media, Society and Celebrity Culture (Cambridge: Polity, 2015) names as the ‘shadow life’ of ‘statistical men and women’ – those others out there, in the world, of whom the media makes us aware at moments of crisis/celebration, but who then sink back into obscurity. For Rojek, celebrity is the ‘seedbed’ of presumed intimacy (p. 94), a concept this reader found rather frustratingly fluid across the work, but in essence meaning an assumed emotional connection between people who have not previously met, or who will never meet. He concentrates most attention to the concept of celebrity in his central chapter, Vertical Frontierism, in which he discusses four celebrities – Charles Dickens, Richard Wagner, Eva Tanguay, and Mae West – to illustrate his thesis that the rise of the celebrity was more significant to the recalibration of social mobility and democratic change than the more vaunted ‘horizontal frontierism’ of the pioneer spirit. Earlier in his thesis, celebrities such as Kim Kardashian, Chantelle Houghton, and Justin Bieber are considered useful as models of the contemporary triumph of personality over character, i.e., a fickle, changeable reaction to events rather than a stable set of positions from which to act. Given its nature as an edited collection, First Comes Love offers a series of discrete case studies, some more explicitly political than others, but which are also historically anchored by the inclusion of a section discussing ‘Gilbo’ (John Gilbert and Greta Garbo), Zelda and F. Scott Fitzgerald, and Carole Lombard and Clark Gable. 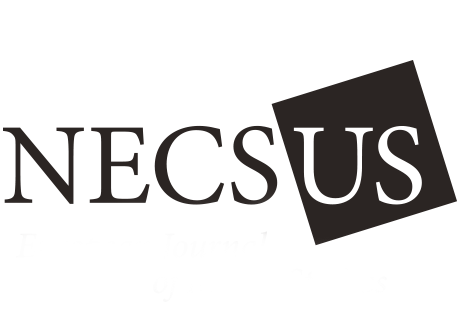 Rojek asserts that 1870 is the date at which something akin to the modern achieved celebrity entered onto the world stage, citing the rise of the mediagenic personality permitted by changing technology and the urban crowd. He deliberately turns to the East Coast and the Old World in his discussion of celebrities from England, Germany, and New York to further strengthen his argument that the upturning of hierarchical society was not confined to the American West. Conversely, Cobb and Ewen locate 1920s Hollywood as the key earlier period to explore because of its centrality to the historiography of stardom and celebrity as elaborated by Richard de Cordova (1990). Despite these important differences in emphasis, both studies find this emerging modern celebrity plays an essential role in negotiating changing attitudes towards, and possibilities of, social mobility and meritocracy. Sarah Churchwell’s carefully argued chapter on the Fitzgeralds, based on their own scrapbooks, demonstrates how they promoted their own celebrity and as they did so knowingly played with concepts of arrivisme, snobbery, and relations between the aristocracy and the nouveau riche. Similarly, Michael Hammond argues that the pragmatism and independence of the Gable-Lombard couple meant that they ‘appeared to be a couple that mirrored the changes in courting and marriage wrought by the Crash’ (p. 70). The historical discussion of celebrity finds models for a renegotiation of access to wealth, and a healthy disdain for stratified society, summed up in Eva Tanguay’s ‘dramatically realised versions of working class habitus’ (Rojek, p. 109). Such attention to the need for money, the accommodations and sacrifices required for its acquisition, and the possibility for celebrity to offer a vision of a society in which the self can forge its own creation, is however lacking in the contemporary discussions of celebrity. It is noticeable, for example, that chapters in Cobb and Ewen discuss the following celebrities, all united by vast access to and displays of material wealth, and contributors frequently draw attention to how wealth is vital to the performance of celebrity, without any particular acknowledgement of its source – money is just there, as if by magic. Margaret Schwartz discusses the British royal family, and its use of the fetish object of an enormous sapphire engagement ring to rewrite the meaning of Diana in its genealogy and incorporate ‘commoner’ Kate. Alice Leppert analyses the Kardashians, a family that even when it lacked the celebrity status it now enjoys was independently wealthy and had a Southern California lifestyle that clearly differentiated Kris Jenner’s daughters from those of other pushy ‘momagers’ Lynne Spears or Dina Lohan, and helped establish the family’s significance as a dynasty to attend to within the competitive world of Reality TV. Neil Ewen argues that the Beckham family’s transcendence from banal celebrity stardom to near royal status (the shift from ‘Posh and Becks’ to ‘The Beckhams’) is accompanied by their management of vast material wealth and family togetherness. This is a contemporary take on the meritocracy, where their ‘ordinariness’ is submerged in a polished performance that nostalgically looks back to traditional family structures performed within a hypermodern context of global fame and fortune and which promotes its children on the back of their name alone. Hannah Hamad’s discussion of Will and Jada Pinkett Smith’s family finds a similar contradiction. Will Smith’s image, threatened at first by negative stereotypes about irresponsible black fatherhood as he fathered two children in quick succession by different women, has been made palatable by his wife’s neo-traditional performance of submissive wifehood (confirmed by her decision to change her surname, justified in a rambling Facebook post which claimed it as ‘trust[ing] [my] personal code of womanhood’ [p. 126]). Nevertheless, Hamad notes, the Smiths’ cultivation of their son Jaden’s stardom ‘belies the discourse of meritocracy on which Will’s purportedly racially transcendent celebrity was built’ (p. 128). Where now are the images of self-made men in the mode of Charles Dickens, who, Rojek argues, took care to nurture and maintain links between himself and the urban crowd, allowing his talent and industry to speak for itself? Along similar lines to the dominance of wealth and privilege in celebrity couples, so too we find predominantly Western and American images. Cobb and Ewen acknowledge in their introduction the geographical scope of their collection remains Western-centric. While this may reflect their own locations and limitations as UK-based scholars, it also reflects the dominance of Hollywood in discussions of celebrity culture so far. 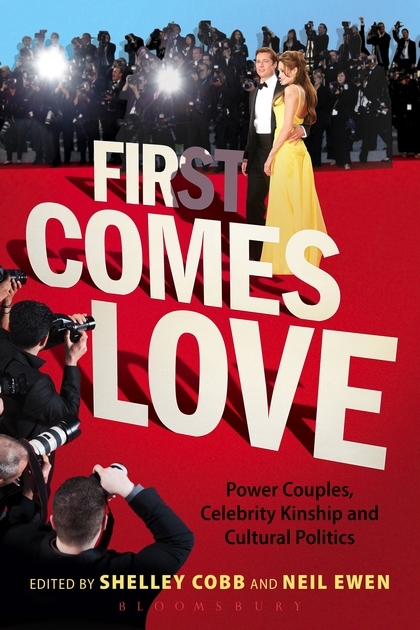 Two chapters do explore other culture’s relation to the celebrity couple. Rachel Dwyer considers the importance of the Kapoor family to Bollywood, arguing that its resilience and durability suggest that within this space, charisma can be hereditary (p. 112). David Zeglen argues that the Western media read the introduction of the North Korean leader’s wife Ri as an example of celebrity coupledom and thus as the regime opening up. He argues that such an interpretation of fashion, pseudo-events, and class signifiers is wrong-headed, and rather that celebrity culture is ‘glocalized’ in the North Korean context – ‘a process that involves the selective borrowing of foreign styles which are then imbued with domestic meaning’. Kim and Ri’s marriage should be interpreted as ‘a cultural hybrid comprising celebrity signifiers […] that have been made to fit the local context of North Korean “gift culture”’ (p. 209). Celebrity culture emerges as a complex composite, dominated by Western modes and models. The ‘we’ in Dyer’s assertion that interest in stars shows us how we are human now deserves greater scholarly attention to its linguistic and locational diversity, while critical attention is paid to how celebrity coupledom aims to promote ‘universal’ ideals such as love, family, and marriage, beyond national borders. Reviewing these books from the UK, against the noisy backdrop of Brexit, is itself a rather uncanny experience, as a cacophony of voices vigorously debate the terms of the United Kingdom’s departure from the European Union only for the process to be frozen into interminable gridlock. The ongoing event of Brexit creates a presumed intimacy of varying qualities – are our intimacies with those who voted Leave or Remain, the EU, or the putative free trade opportunities of the world? Rojek’s view that our interest in celebrities forms part of a broader promotion of ‘presumed intimacy’ that assumes an emotional connection to others that in the end only confirms us in our cybernetic solitude seems only too accurate as the different camps take to social media to confirm their own positions. Further, Rojek’s description in Presumed Intimacy of managed democracy as a system in which freedom and justice are made into a cause célèbre but work only to jam any kind of collective change, so that the corporate-state axis can continue to quietly and smoothly pass what were once civic public goods into private ownership, seems positively prophetic in the face of recent political developments and the cries of ‘sovereignty’ and ‘control’. Rojek turns his ire too to the British Research Excellence Framework, the UK government-sponsored academic research auditing procedure, demonstrating how a process that on the surface gestures to accountability and transparency instead allows for the incursion of massive managed bureaucracy and state-framed targets into what was the presumed intimacy of academic understanding and collegiality. Meanwhile, Neil Ewen’s superb chapter in First Comes Love, about how his students’ imaginings of ‘a good life’ for their future selves contradict the harsher socio-economic realities of austerity (stagnant wages, increased debts, reliance on inflated asset values making homes unaffordable for those without property, vanishing pensions, privatised health care provision) bolsters the sense that the gossip of celebrity culture and its creation of intimacy is but a ‘spray-on’ solution for a deeply unhappy and troubled society. Emerging between the lines of these books then is to my mind some of the first attempts to grapple with the impact of the 2008 banking crisis, an event that escapes easy visualisation (and thus media attention?) but is as profound a re-ordering of our socioeconomic system as The Great Depression was. We are still living with its effects, but our attention is studiedly elsewhere, in a networked culture which brings constant news of a litany of ‘familiar strangers’ (acquaintances on Facebook, celebrities in magazines and on television, victims of bombs in Syria, hostages), but none of whom seem to offer any model for our contemporary paralysis or precarious future (unlike Dickens, or Gable and Lombard). Our mediated relations with celebrity do not incite much emotion beyond either fandom that skims through material distractedly or becomes bogged down in minutiae; meanwhile the ‘statistical men and women’ who take on momentary flesh in news reports inspire in most of us a ‘bystander’ mentality where we feel overwhelmed by the needs of so many. Rojek comments that the primary duty of the government is to protect its citizens from physical harm. It is in the name of such a duty that governments become involved in ‘chimerical risk management’. Chimerical risk is different from real risk, which involves confirmed knowledge of perpetrators and informed knowledge of would-be perpetrators; chimerical risk creates a moral climate in which danger lurks around every corner, but no questions can be asked of actions being taken in the name of eternal vigilance. Such chimerical risks paper over the more banal but just as fatal risks of a shrinking welfare state and dwindling resources. Meanwhile, at the heart of this political life are questions of who has access to this resource, and how they are judged worthy to receive it. As gay marriage increasingly becomes the central issue and dividing line in terms of gay rights (i.e. which countries have legalised gay marriage and which have not is taken as the main criterion for determining how homophobic such societies are), what happens to those whose sexuality does not fit into the straitjacket of marriage? Where are their legal rights? How are their intimacies to be imagined and understood? We seem to have travelled a long way here from the specifics of discussing particular celebrities, or perhaps what might be understood as falling within the remit of celebrity studies. However, surely this symptomatically demonstrates the very point of discussing celebrity – that we end up discussing our world and ourselves. In a world in which neoliberal policies have increasingly compromised the pursuit of togetherness and community, these two books, from very different perspectives, show us the urgent need to attend to how companionship is dramatised for us. If classical star studies and celebrity studies help us to understand how celebrities embody the contradiction of the special and ordinary, this scholarly turn towards celebrity as-social-relation helps us understand how celebrity cultures help shape a contradictory world in which access to wealth and power is profoundly unequal while promoting ‘family’ values of togetherness and love. de Cordova, R. Picture personalities: The emergence of the star system in America. Urbana-Chicago: University of Illinois Press, 1990. Dyer, R. Stars. London: BFI, 1979. _____. Heavenly bodies: Film stars and society. Basingstoke: Macmillan, 1986. Holmes, S. and Redmond, S. Framing celebrity: New directions in celebrity culture. Abingdon: Routledge, 2006. Marshall, P. Celebrity and power: Fame in contemporary culture. Minneapolis: University of Minnesota Press, 2014). Negra, D. and Holmes, S (eds). In the limelight and under the microscope: Forms and functions of female celebrity. London: Continuum, 2011. Rojek, C. Celebrity. London: Reaktion, 2001. _____. Fame attack: The inflation of celebrity and its consequences. London: Bloomsbury, 2012.